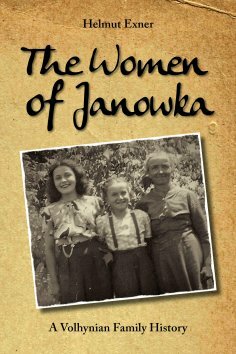 Helmut Exner: The Women of Janowka - als eBook kostenlos bei readfy! Founded by Germans, people in the Volhynian village of Janowka once lived a peaceful and affluent life. They co-exist on friendly terms with their Ukrainian, Polish, Russian and Jewish neighbours. When the world political climate changes at the end of the 19th century, Tsar Nicholas begins to make things difficult for the Germans. More and more settlers leave the country in the direction of Prussia or North America. Those who remain suffer hell on earth after the outbreak of WW I. 200,000 German Volhynians are exiled to Siberia. The survivors of this exodus are allowed to return after the war, but they no longer feel welcome in their homeland. Everybody tries to leave the country. The Exner family is also torn apart. Some go to Germany, others to Poland. Most try to reach Canada. Four strong women, separated by fate, and sent off in different directions, attempt to hold the family together. Each woman, in her own way, tries to gain something from life. Giving up is not an option. Trust in God and cherishing their inherited Christian religion - no matter where fate sends them - are the guides that help them conquer whatever?s inflicted upon them. It?s these women who safeguard the survival of the family.